Dmitri was first introduced to salsa and inspired to dance and collect music in 2001. 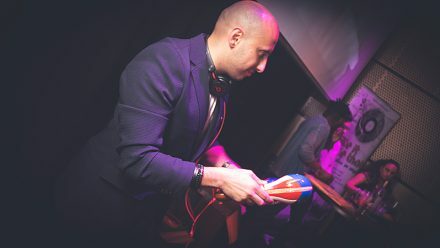 His love for Latin music inspired him to do more than just dance; he started his DJ-ing journey after years of collecting music and he is one of the 1st salsa and Latin DJs in Jordan. He has been DJing at various international festivals and he is a regular DJ at the Salsa socials and Latin Parites in Dubai and the UAE. Dmitri is collecting major events under his sleeve and becoming more popular every month. His music taste is spreading fast and his unique mambo and mixed salsa sets have become a “high- demand” among the dance communities in the region.